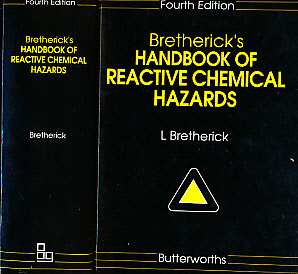 Barter Books : Bretherick, L : Bretherick's Handbook of Reactive Chemical Hazards. Fourth Edition. 250 x 180 mm (10 x 7 inches) - xxvi, 2005pp. VG : in very good condition without dust jacket as issued. Light shelfwear. Ownership label on fep.